Some of you may know that my dad has been very sick these past few months, battling a series of life-threatening bouts of pneumonia he contracted in November. He’s been fighting for his life, but sadly, the infection spread critically over the Christmas holidays, and Dad passed on last night at 9 pm, January 10th, 2010, in the palliative care ward of St. Paul’s Hospital in Vancouver. 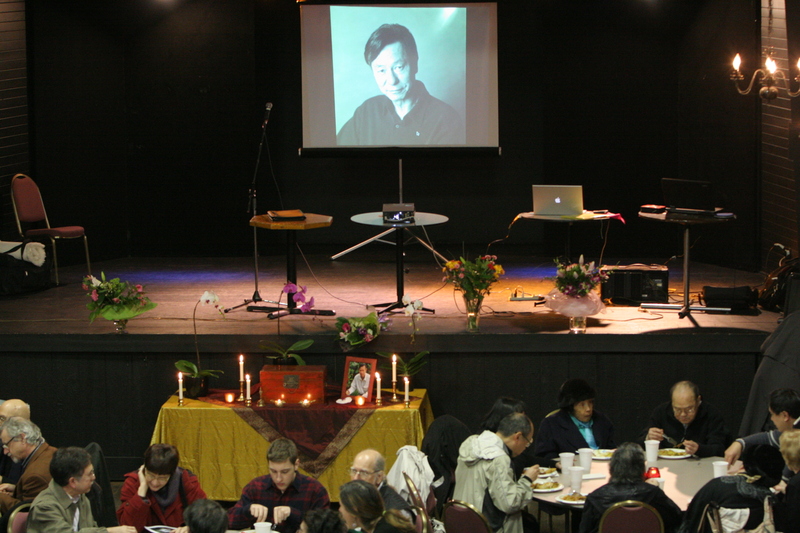 His spirit remained strong through most of his illness and he continued to express so much of his characteristic warmth, humour and kindness (and familiar to those of us who knew him best – occasional bouts of combativeness and chutzpah), even when he was in a lot of pain. Towards the end he lapsed often into delirium, but even so there were many profound exchanges of love and affection towards visiting friends and family. For everyone who knew him, I know he held a huge amount of fondness and love for you, though he might not have been able to express it directly to so many at the end. In the day since he passed it’s become clear how many lives he has touched, and I find it impossible not to feel that he is still with us in so many ways, not just in memories and words but in spirit. I was with him when he died, and that spirit was very large in the room as he passed on to the other side. I know he’ll miss many of us as much as we will surely miss him. Please feel free to post messages, tributes, memories, and poems in the comments section below. If you have photos or other media you’d like to send you can e-mail them to me at this address. Also, there’s a (15 min) short film made two and a half years ago, directed by Almerinda Travasoss (with interviews by our dear friend Stephanie McKenzie). 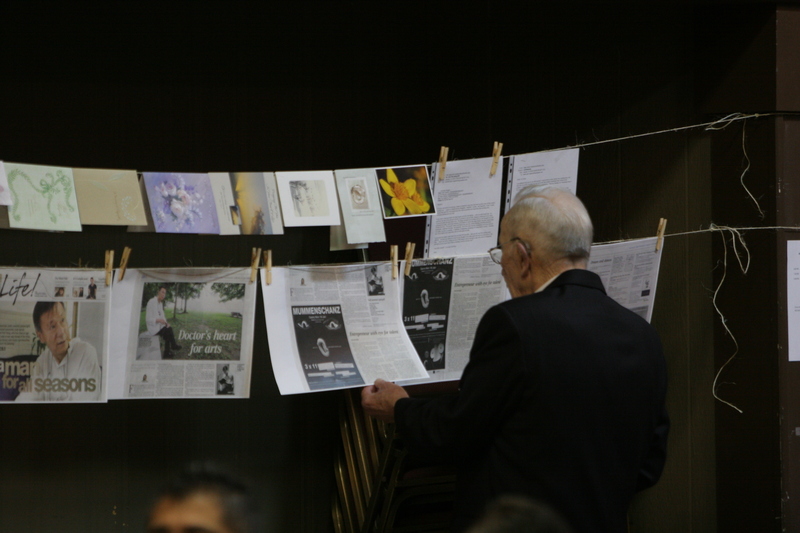 Called ‘Goh Poh Seng: Poet In Newfoundland’, the film looks at Dad’s close ties with Newfoundland and the landscape (and people) who inspired so much of his later poems. The piece was filmed in and around Mom and Dad’s beloved home in Lark Harbour, Newfoundland, where they spent each summer from 2003 til 2008. There’s no cause for grief. 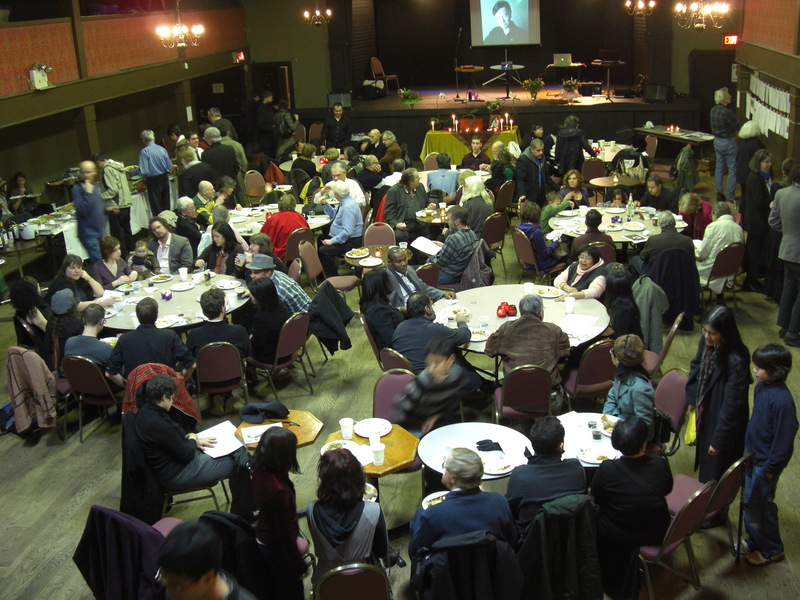 Thanks to everyone who managed to make it out for Dad’s memorial at the lovely Wise Hall…it was an amazing turnout, with lovely food, poetry, music, and closing out (appropriately enough) by a joyous round of dancing. 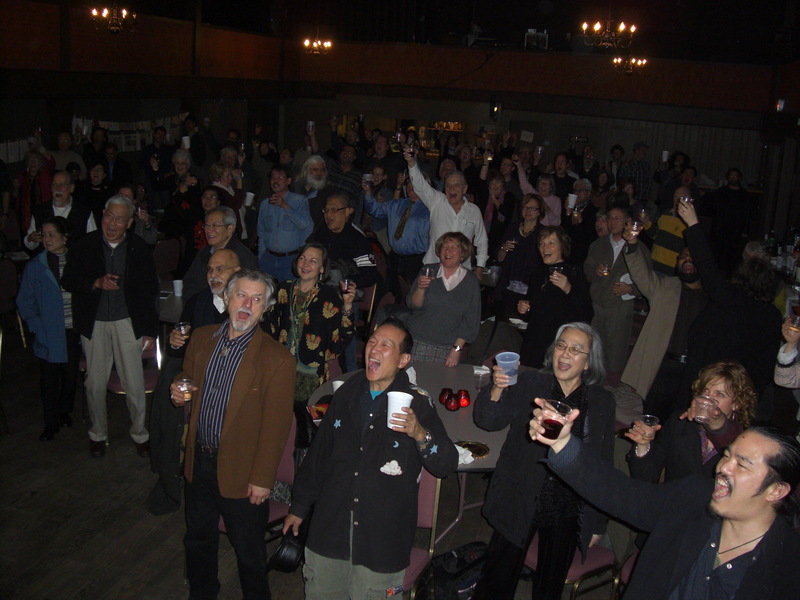 Am attaching a clip of the slideshow we screened that night, to the tune of Nat King Cole’s ‘My Sweet Embraceable You’. Mom and Dad danced to this tune at the Grandview Legion Hall shortly before he entered hospital…we listened to a lot of N.K.C. together in the ward at St Paul’s. Dad would often sing along to these favourites from his youth, sometimes conducting an invisible orchestra with pleasure from his hospital bed. Also, we’d like to thank the many people whose outpourings of warmth and condolences have been overwhelming. 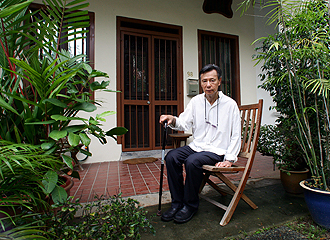 Please feel free to add comments to the previous post in commemoration of Goh Poh Seng. Have been working hard on editing Dad’s last piece of writing, his introduction for the forthcoming reprint of his classic novel If We Dream Too Long, published over 40 years ago. Dad laboured hard on this over the past year, constantly revising and rewriting a number of different versions, so it required some real suturing and moving around to get it all to hang together. But I think (after burning the proverbial midnight oil) I finally managed to get it to say what he wanted to express, recounting his journey from student days in Dublin back home to Singapore in the early 6o’s, and how he found his voice as a writer. 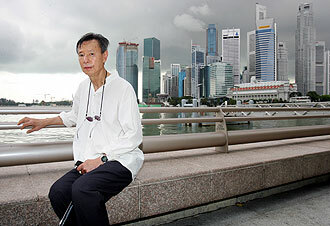 Also, his fondness and attachment to Singapore itself and recollections of the heady ‘nation-building’ days. Plans to post that piece of writing, as well as many of Dad’s late poems, are forthcoming. 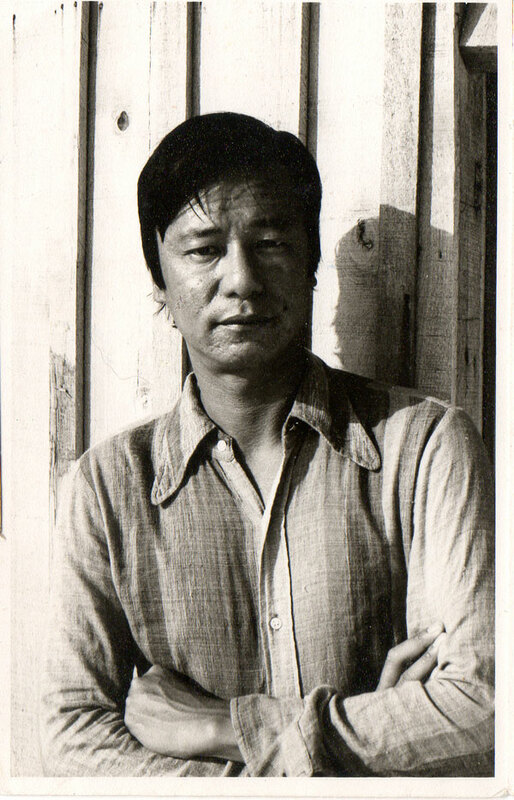 Poh Seng had a number of works in progress at the time of his passing, and has left behind one complete unpublished novel about his student days (part one of a projected, but sadly uncompleted 4-part memoir entitled Bite The Bitter Wind), part two of the aforementioned memoir (detailing his family’s multi-generational history moving from China to the Nanyang aka Malaya), as well as unpublished poems and short stories and his ambitious re-telling of the Ramayana. It is my hope that publishing excerpts here online will generate enough interest to finally move many of these works into print, as well as his other novels and collections which have been unavailable for some time. One of Dad’s dreams of recent years was to re-awaken Island Press, the publishing company he formed with my mother, Margaret, to publish his first novel (If We Dream Too Long). He was especially excited by recent developments in electronic publishing and made-to-order presses. This is something the family is examining as a way of promoting his work (while pursuing conventional publishing routes) and I’m hoping to use this website to gauge interest and promote his writing. So please feel free to forward this link or spread by word of mouth news of this website. Or better yet, subscribe (just press the button on top right menu) to this site for updates and news on Goh Poh Seng. In the coming months there’ll be more direct links to purchasing his books, plus the fleshing out of archives and selections of previous writing. If you have any inquiries, please feel free to email or get in touch with us. My friend Burento went to Burning Man for the first time this year. When he came back he showed me this video he shot on his iPhone. I had no idea he’d brought my late father’s (late) poems with him to Nevada (these were printed for his memorial this January 24, 2010). I am beyond moved, and have the feeling that Dad’s spirit continues to soar – even now, in the ‘afterlife’ – touching souls and alighting hearts within so many folks, in so many places – including this desert which he never had the pleasure to experience (in this lifetime…though he did step far & wide onto a significant curve of the earth). One of my favourites of Dad’s, ever. This is from Bird With One Wing. He wrote this when he was 46 years old, staying at the poet Michael Neill’s (brother of the actor Sam Neill) cabin at Anawhata, New Zealand. Happy Birthday Dad, wherever you may be. May your spirit be at peace. out of his own unbelieving? so that I might be cleansed. 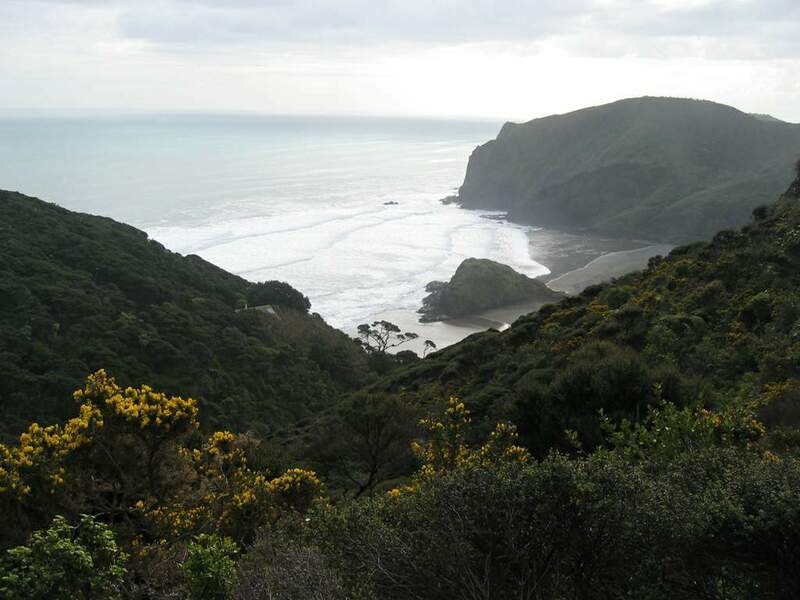 here amongst the Waitakere Ranges. might once have been sited. like that of flickering rain. and of why I’m here. Is there a way to die? I want to live like now! I want only when the time comes. my spirit on its way. – Recorded at the Havana Theatre, Vancouver BC, 1998, by Gerry Gilbert.